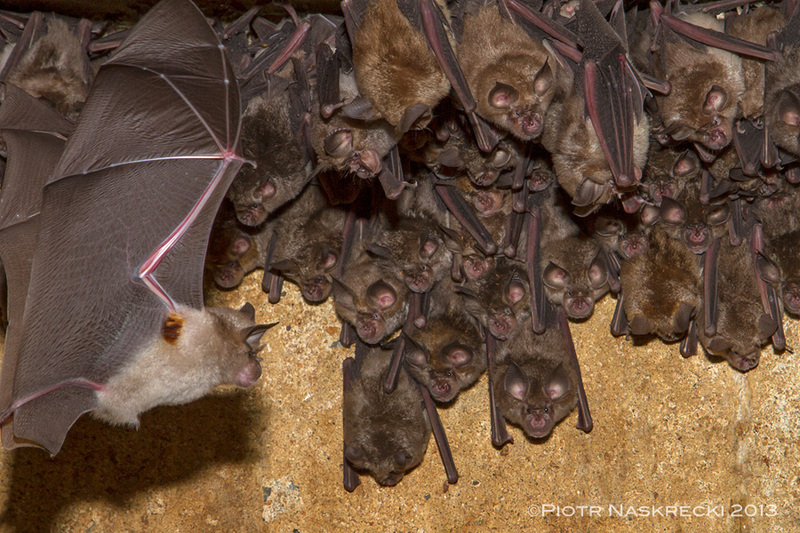 A colony of Lander’s horseshoe bats (Rhinolophus landeri) – notice the orange hairs in the armpits of the flying male. Tomorrow marks the first official day of the Gorongosa Biodiversity Survey on the Cheringoma Plateau. All participating scientists are arriving, and the following morning we will depart for the first, northernmost site. 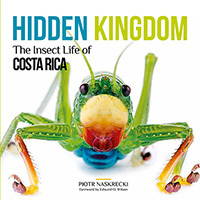 But even before we get to those remote and unexplored areas, some of us have been already collecting interesting data. 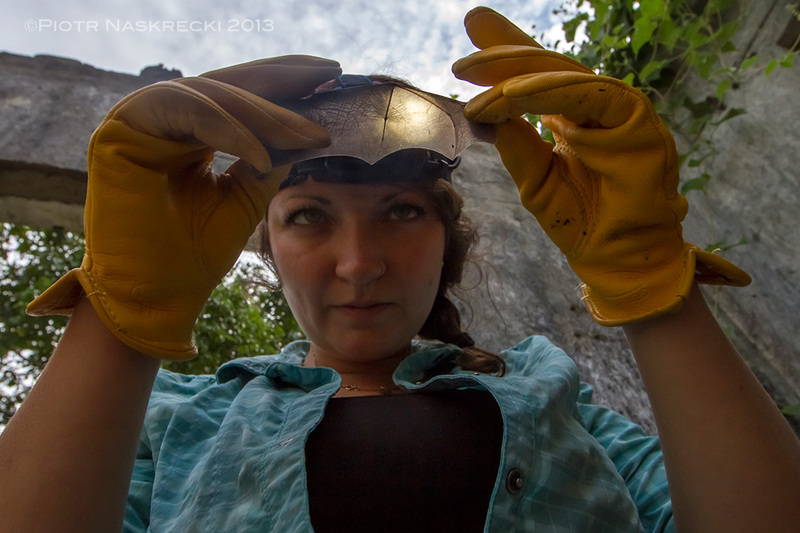 Earlier today Jen Guyton, the expedition’s bat and rodent specialist, discovered a large colony of bats in an old, abandoned concrete water tank on the outskirts of the Chitengo Camp. 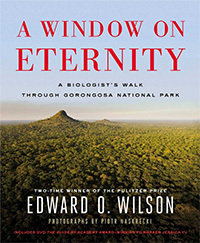 It was too good of an opportunity to learn something new about bats of Gorongosa to pass by. Armed with a large butterfly net Jen had descended deep into the dark and rather odoriferous structure, and soon emerged triumphant with half a dozen bats fluttering in the net. She immediately identified them as Horseshoe bats (Rhinolophus), members of the family Rhinolophidae. 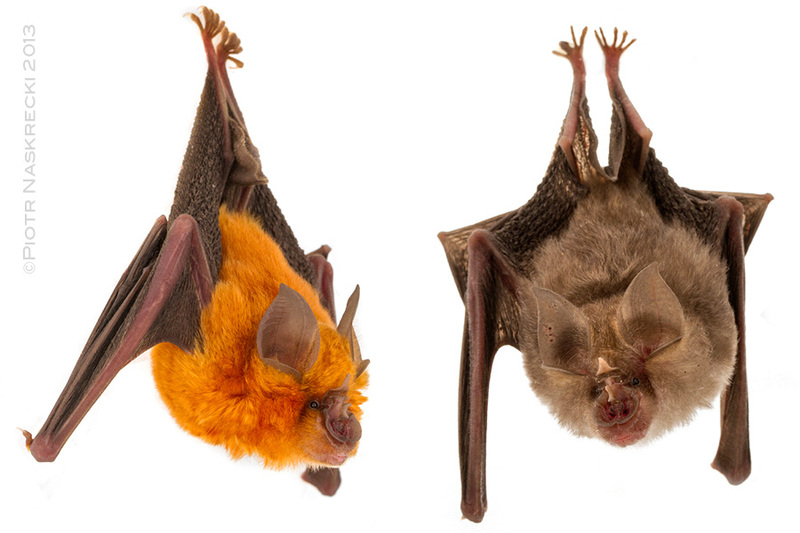 Two color morphs of Lander’s horseshoe bats (Rhinolophus landeri) found in Gorongosa. 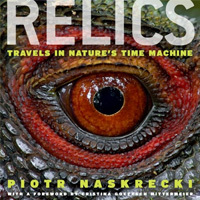 These mammals get their common name from the characteristic, horseshoe-shaped noseleaf, an intricate structure on their faces that is the source of their echolocation signals. The ultrasonic signals of horseshoe bats are unusual in their relatively long duration and constant frequency, as opposed to more typical, short signals of shifting frequency found in most other insect-feeding bats. Our bats turned out to be Lander’s horseshoe bats (Rhinolophus landeri), and the Chitengo colony had two color morphs of this species, one of which had a beautiful golden fur, which reminded me of that of the Amazonian Lion Tamarin. Lander’s horseshoes appear to feed mostly on moths, and can be identified among related species of the genus by tufts of distinct orange hair in the armpits of adult males (see photo). 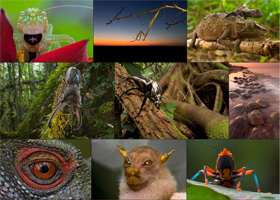 In the coming days and weeks we will undoubtedly see more bat species and other amazing organisms. I will try to post updates from the field as often as I can, but it remains to be seen if my cellphone modem works in the areas were we will do our work. Stay tuned. Mammalogist Jen Guyton examining a freshly caught Lander’s horseshoe bat. Previous Post Mozambique Diary: Is this tortoise broken? 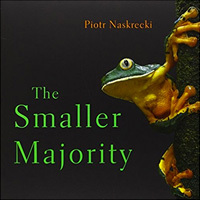 Hi Piotr, great stuff, and all the best for the survey! Hi, great bats also hello to Jenny from her aunt Danny.We were teaching the kids in the Kindergarten about bats. I hope your work goes well!